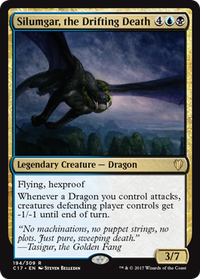 When Scion of the Ur-Dragon uses its ability does it lose its legendary status (unless of course it changes into a legendary dragon). Yeah, the double colored symbol in casting cost definitely was on my mind regarding Kindred Discovery . 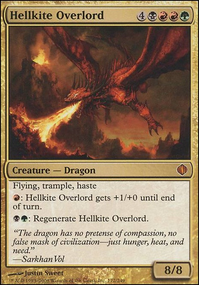 Also as I am looking at the deck I see a trend: our Dragons have abilities that synergize well with others or have standalone effects that are very good but Hellkite Tyrant lately looks like it does belong in an artifact or Scion of the Ur-Dragon deck more than The Ur-Dragon - do you think it might get cut out for lower CMC interaction or card draw? As I said earlier sometimes it's better to blow things up instead of stealing them. of the three, zombies would probably be the strongest. 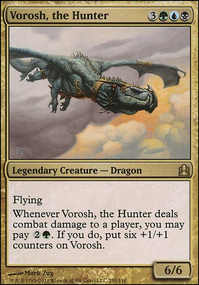 goblins are often really small and dinos don't have a lot of support that is exclusive to them just yet. Varina, Lich Queen would be the best zombie commander. if you're open to other tribes, my personal favorites are slivers with a Sliver Legion commander, or dragons with Scion of the Ur-Dragon at the lead. 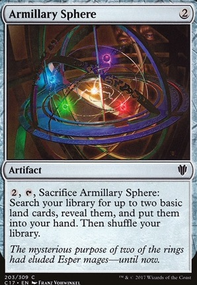 unfortunately, 5c mana bases get real expensive real fast, even with zero original dual lands. 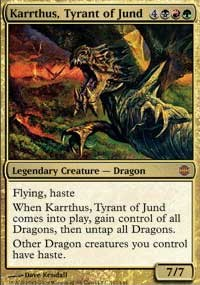 How exactly does the Scion of the Ur-Dragon 's ability work? In my mind, when you pay the cost it enters the stack, then resolves at once. 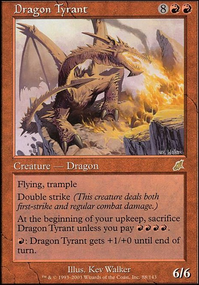 Or do your opponents get to see what dragon you coose before the transformation. 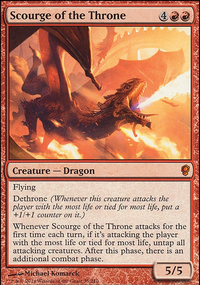 For example, I activate the ability and turn Scion into Dragonlord Dromoka during my turn. 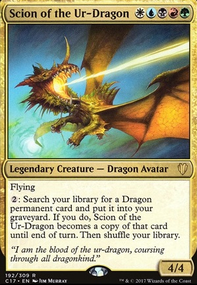 Do my opponents get to respond after they see my choice or do they have to answer only to the ability's activation (paying 2 mana), before knowing what the Scion will become? 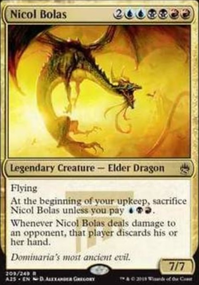 Thank you for any responses and again I'm sorry if this seems something obvious (or has been answered), but since MTG isn't always what it seems, I wanted to make sure. 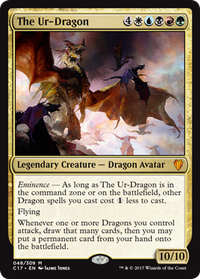 Hey, I agree Scion of the Ur-Dragon seems like a good Commander for your deck idea. 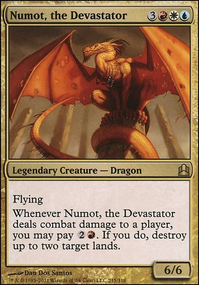 The Star Dragons have dies abilities this makes them quite good to repeatedly reanimate with Nim Deathmantle and sac with sac outlets such as Ashnod's Altar . 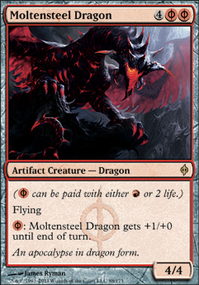 Feldon of the Third Path can repeatedly make a token copy of a Dragon you put into your graveyard with Scion. 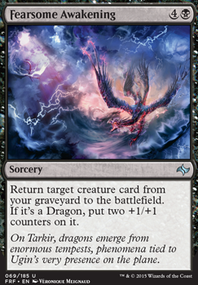 The token is saced at the end this will trigger the die ability of a Star Dragon. 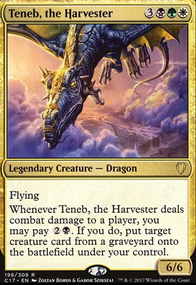 Teneb, the Harvester has a powerful trigger, to repeatedly reanimate Dragons you put into your graveyard. 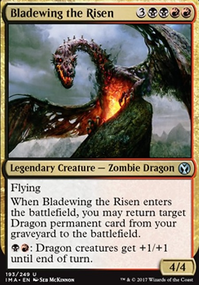 Bladewing the Risen when it ETB (enters the battlefield) can also reanimate a Dragon which you can take advantage of with Feldon (token copies ETB) or Deathmantle. 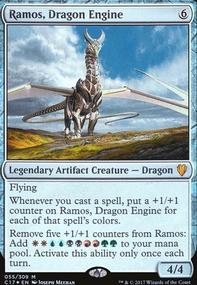 Buried Alive , Faithless Looting , Animate Dead , Unburial Rites , Anger , Fauna Shaman , Genesis and Karmic Guide are some very good semi-budget support cards for a five color graveyard strategy with Dragons. 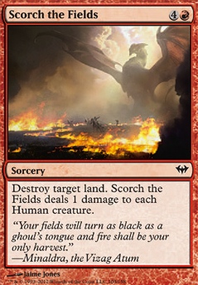 To help the five color manabase I think you can just splash blue. 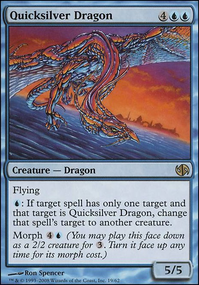 Blue is the color that's least needed with Dragons or graveyard strategies mostly just need it for Scion.